Planning a staycation holiday during the Dec school holidays can be quite a headache, especially if you are considering hotels in Sentosa island as they are usually sold out or will bust your budget. During our research for Sentosa staycation options, we found the best value for money staycation package with Bay Hotel Singapore which is located just a short five minute walk to the Sentosa monorail station at Vivocity Level 3. 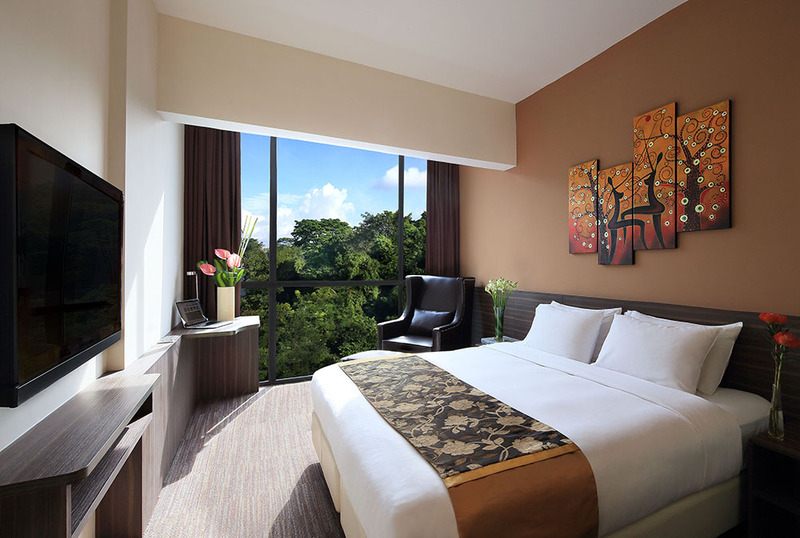 What makes this staycation at Bay Hotel Singapore very affordable is the Bay Hotel Singapore Exclusive Stay & Play with Universal Studios Package where you pay only S$368++ for two nights at Deluxe Room with a pair of complimentary Universal Studios Singapore adult passes. If you are planning to stay for one night at Bay Hotel Singapore, the Stay & Play with USS package will cost S$238++. While the size of the Deluxe room is only 25 sqm, the room is designed in a very efficient manner so you don’t feel cramped. 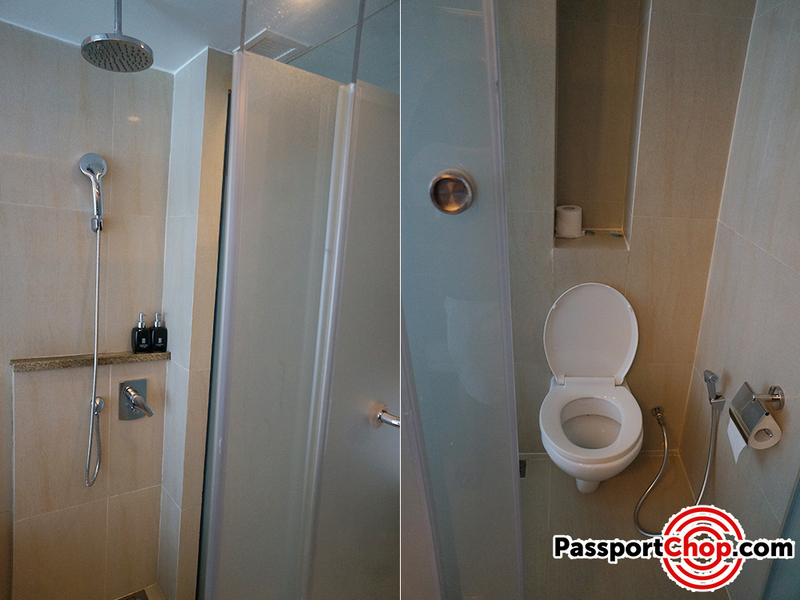 Upon entering the room, you will step into a small corridor where you get access to the complimentary mini-bar, wardrobe, sink, separate cubicles for shower (with rain shower facilities) and toilet. The “bedroom” is more spacious with a comfortable king-sized bed (there are other room options with twin beds and queen-sized beds) and even a sitting area (with a plush leather armchair overlooking the swimming pool). There is also a work desk if you need somewhere to put down your laptop to get work done. Besides complimentary in-room Wi-Fi, there is also a Handy smartphone which you can use for complimentary unlimited mobile internet access in Singapore and overseas calls to selected countries and all local calls during your stay with Bay Hotel Singapore. This is perfect for tourists visiting Singapore where they can save on roaming and overseas call charges with this Handy smartphone service. All rooms come with complimentary minibar which is replenished once daily. So if you are staying for two nights, you get 2 days of minibar! 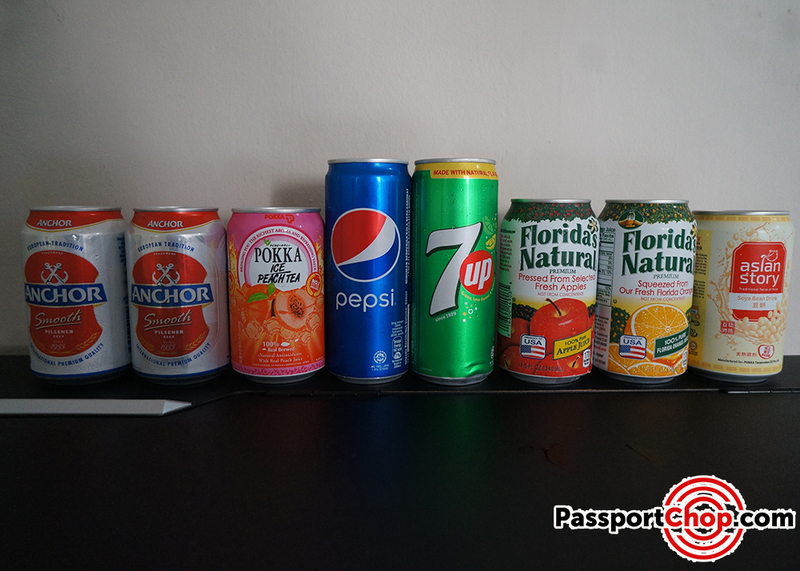 At your minibar, you can find a selection of drinks from alcoholic ones to soft drinks as well as snacks. If you are on a tight budget or don’t have time for a proper sit-down lunch during your long day at the Universal Studios Singapore trying to catch up on the exciting rides, these snacks and drinks are perfect for the energy refill you need on the go. 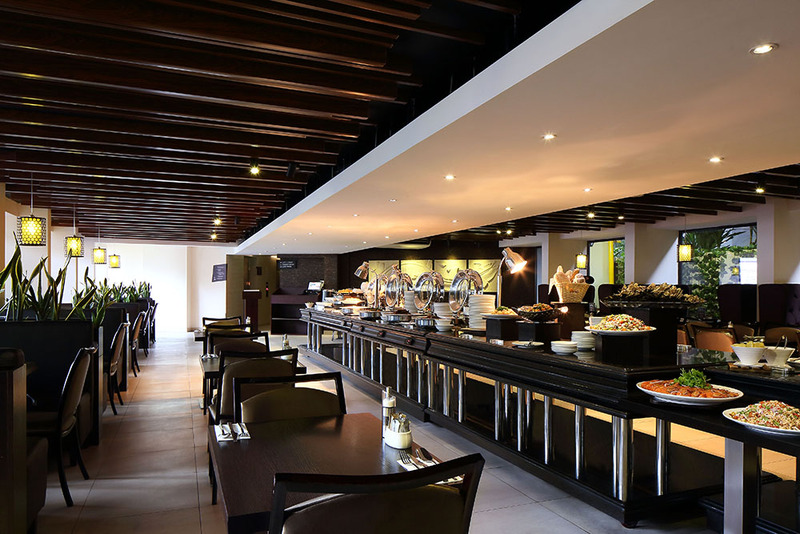 We also enjoyed the hearty and sumptuous selection of food at the Rumah Rasah restaurant during breakfast – which is included with the Stay & Play with USS package. There are different food to suit different palates e.g. kway teow, sausages, hash brown and even chicken nuggets (perfect for kids). You can order your preferred egg e.g. omelette, hard boiled egg or sunny side up from the egg station. Don’t miss the dim sum corner (just beside the egg station). 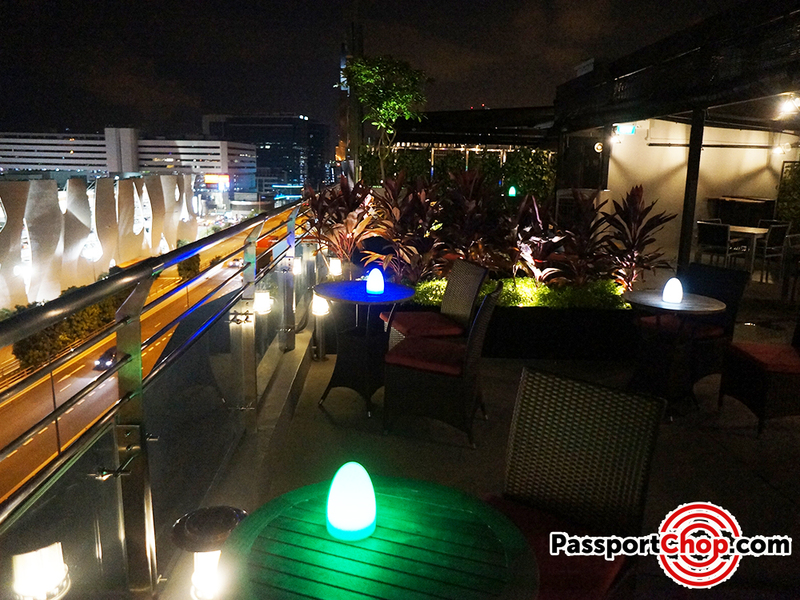 After a long day at Sentosa, we checked out the Propeller rooftop bar to chill out with drinks. 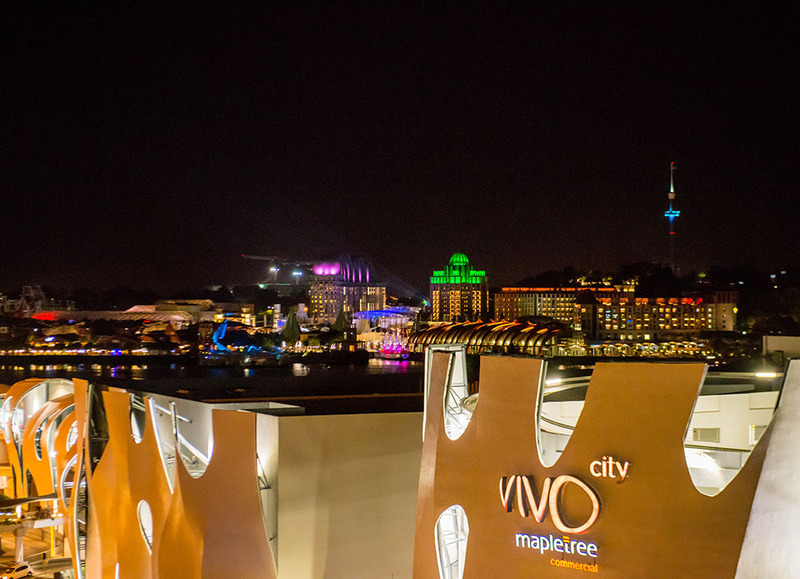 There are great views of Vivocity and Sentosa from this rooftop bar and is the perfect spot to catch the fireworks from Universal Studios Singapore on Saturday nights – when we were there, the fireworks performance was at 9.30pm – do check with USS directly on the fireworks timing and availability. Do note that the Propeller rooftop bar is closed on Sunday and Monday. Also check out Bay Hotel Facebook page: https://www.facebook.com/BayHotelSingapore for upcoming events at Propeller rooftop bar e.g. Propeller is hosting a New Year eve countdown party on 31 Dec 2017! 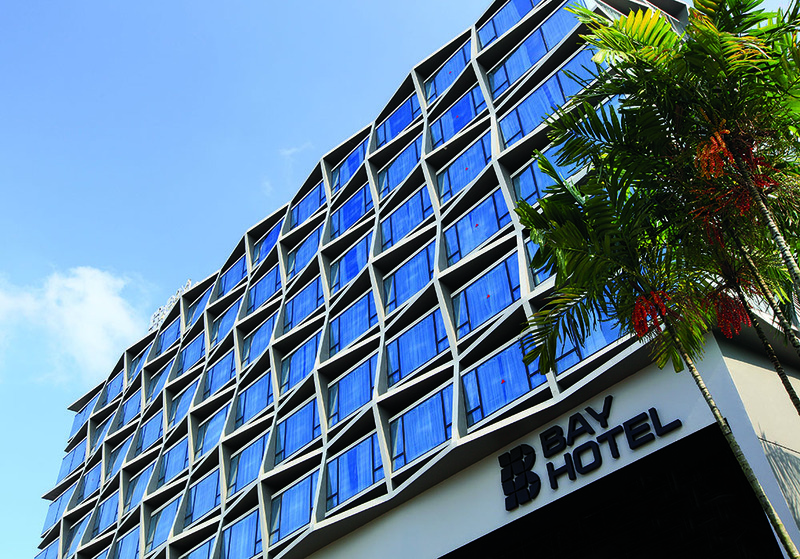 Getting to Bay Hotel Singapore is easy – the nearest MRT is the Circle Line and Northeast Line: Harbourfront station. If you are taking a taxi to Bay Hotel Singapore, inform the driver to drive to the hotel entrance via Temenggong Road. Some taxi/Grab/Uber drivers tend to stop at the hotel access road from Telok Blangah Road. 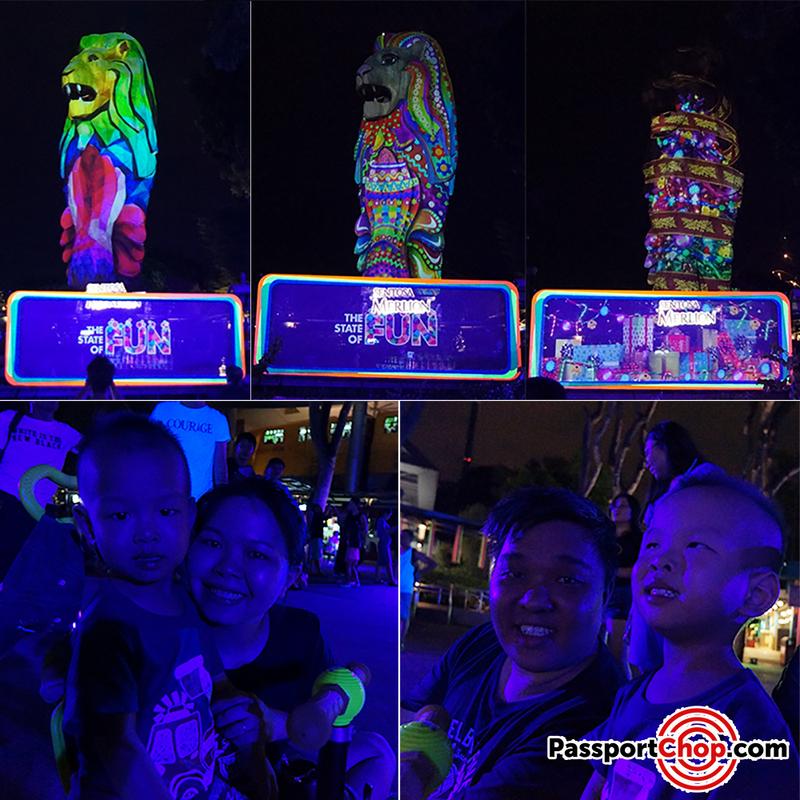 Besides Universal Studios Singapore, don’t miss the Merlion Magic Lights in Sentosa Island where you can witness the Sentosa Merlion come to life with groovy themed projections set against the 37-metre-tall mythical creature complete with stunning animations. 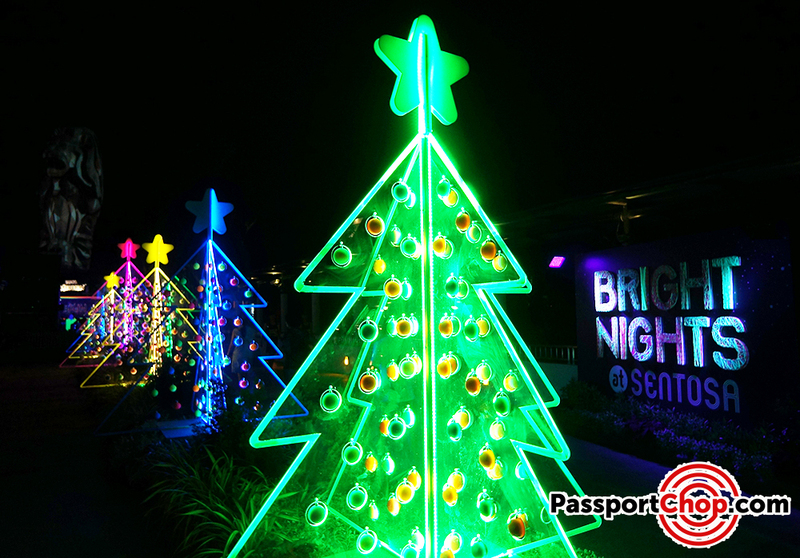 The light show starts at 7.45pm, 8.15pm, 8.45pm & 9.15pm (Weekdays) with additional 2 shows 9.45pm & 10.15pm (Weekends, Eve of Public Holiday and Public Holiday). If you are taking the Sentosa monorail, alight at Imbi station and you will reach Merlion Plaza for the show. After the show, you can catch the monorail back to Vivocity and take a 5-minute walk back to Bay Hotel Singapore to rest for the day! Bay hotel looking so awesome and nice. I like this hotel very much. 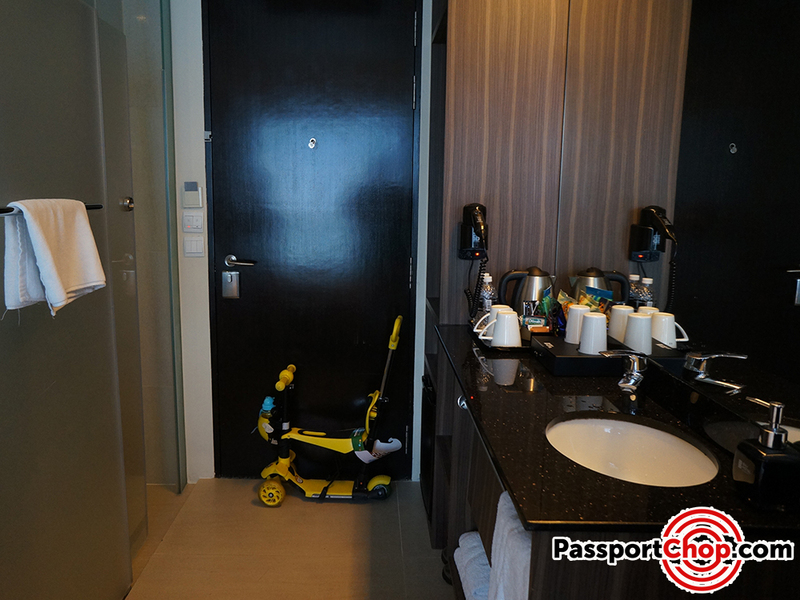 Hi,Can i inquiry for hotel 2D1N package ?